Are you looking to create the perfect birthday party flyer? We've got you covered! 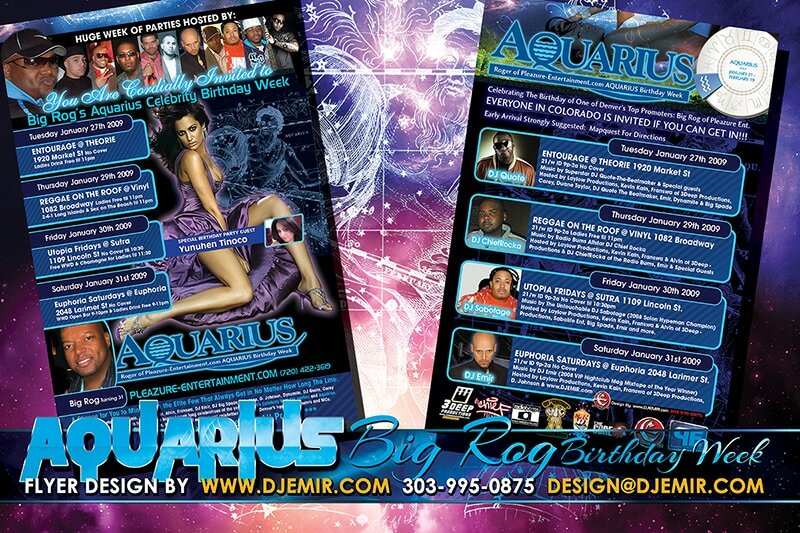 Email us at design@djemir.com or call / text us at 1-303-995-0875 to get your birthday flyer design started today! 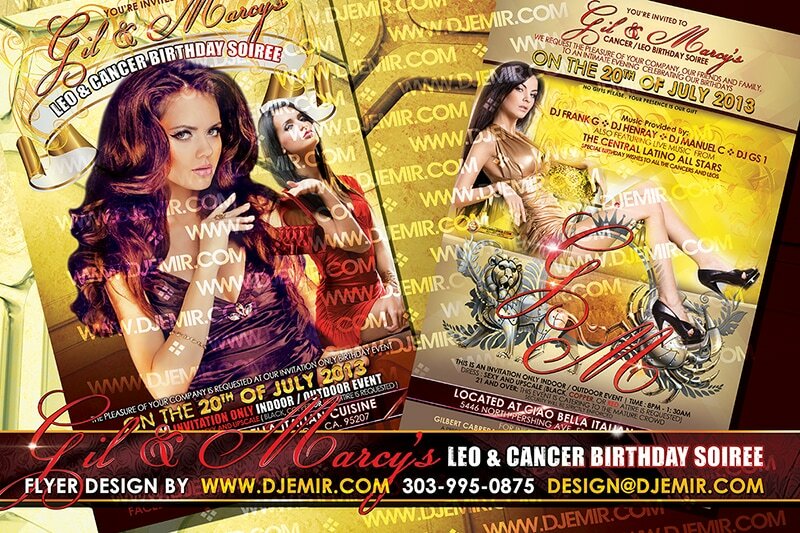 Birthday Flyer Designs For Any Theme! 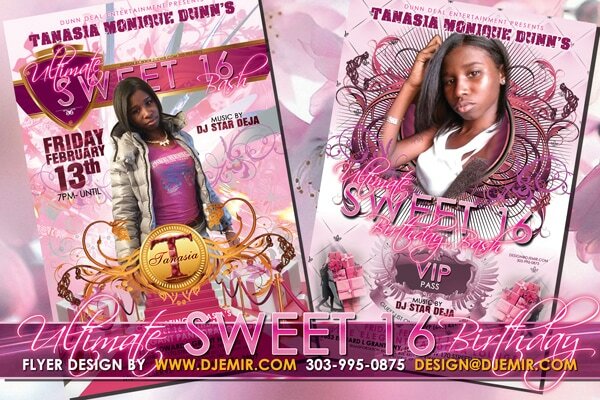 ​We create amazing birthday flyer designs that stand out. We can match any birthday theme you can imagine. 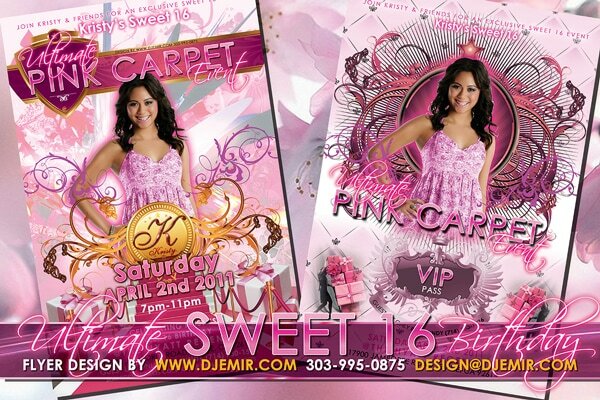 Our past flyer designs include Sweet Sixteen Pink party flyer designs, All white, All Black, Black and White Birthday parties, Silver Anniversary parties, Gold birthday parties, Safari birthday themes, Hawaiian Luau Beach Party flyer designs and more. Our standard professional flyer design service runs just $150 with 3-5 Business day turnaround or you can opt to use our Rush Flyer Design button to get our rush flyer design service with 24-48 hour turnaround on your flyer design for just $200 total. 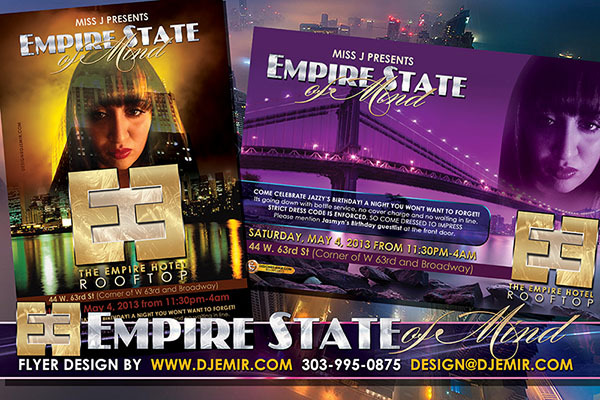 As soon as we receive payment and information our team of talented graphic designers will get started on your flyer design. 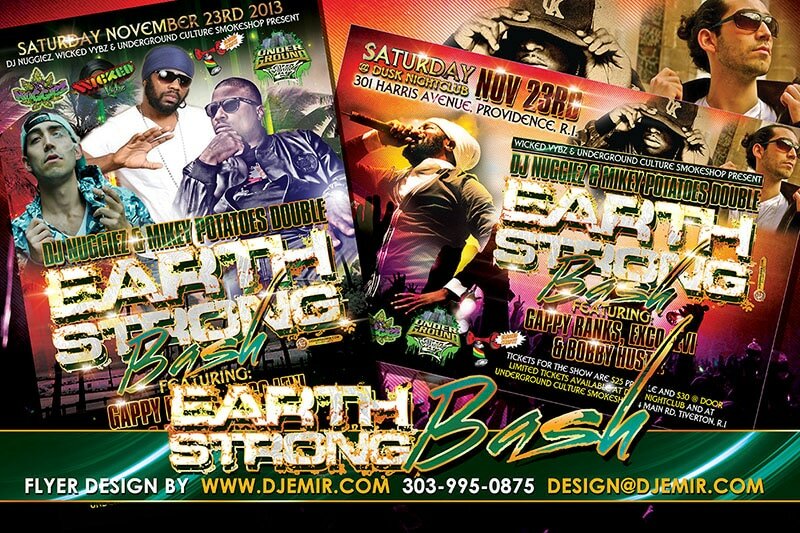 All flyer designs, logos and graphics are scheduled on a first come first served basis with the exception of rush flyer designs which get placed ahead of all non rush flyer design jobs. If you absolutely have to have it fast please use our rush design option.